Generation Hire and Sale Northampton demonstrates why the combination of their expert knowledge and the Generation UNI roof is the best solution in temporary roofing on the market. 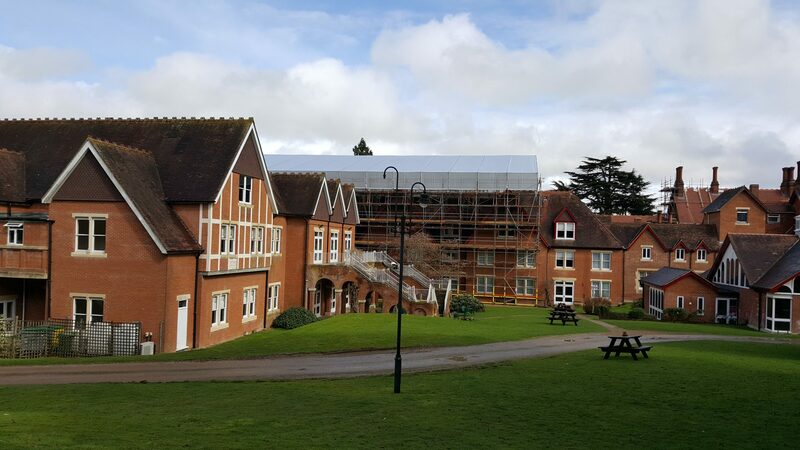 Our client required a temporary roofing system to enable the Pendley Manor Hotel to stay open during the construction of an additional floor; saving the hotel thousands in bookings. The Client was a relatively new customer for the Northampton branch. They had not used the Generation UNI Roof before and required our expertise to ensure they got the right materials for the job first time around. Brett Crawford, Northampton branch salesman worked very closely with the client from tender to the design stage and then on to the construction of the roof. Generation’s design team at DESSA worked with Bret and the client to train the staff on site; They were taught about the identification of the parts and received full training in the correct erection procedures of the UNI Roof system. Due to the project commencing early January the weather conditions were not favorable, therefore meaning extra supervision needed to be taken during the light snow showers; especially when operating the crane lifting the 26m trusses for the UNI Roof to be assembled! The Generation UNI Roof always exceeds client’s expectations; with its cost effectiveness, compatibility, versatility, safe and quick erection times. In this case by saving the Pendley Manor Hotel thousands of pounds through being able to remain open whilst carry out major construction work to enhance the hotel.